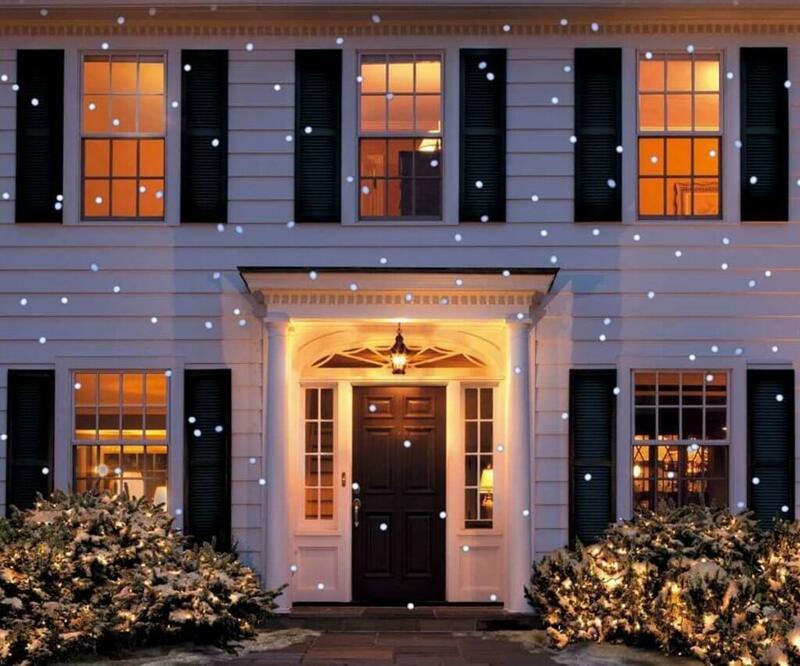 The Chelsea Home Imports Light Flurries Falling Snowflakes Light Projector is a great, subtle holiday light projector that will project falling snowflakes on the surface of your choosing. This Snowflake light projector covers an area up to 40 feet tall and 60 feet wide! You can adjust the falling speed and size of the snowflakes as well, letting you have a White Christmas no matter the climate! 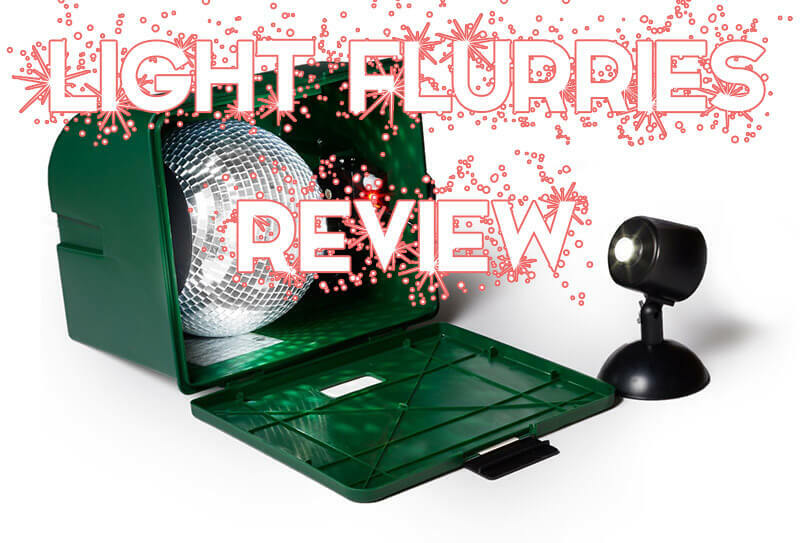 The Light Flurries Falling Snowflakes system uses an energy efficient LED spot lamp to case bright snowflakes, and it’s rated for both indoor and outdoor use. The Christmas light projector is weather resistant, easily portable, and has a 44 inch cord that plugs into a normal AC outlet. The Light Flurries system must be setup on the ground, it can’t be mounted to a tree or pole. Check out the video below to see to setup the Light Flurries Falling Snowflakes, and what it looks like in action! Since the Light Flurries Falling Snowflakes utilizes a mirror to reflect light back on your home, some users have issues with the light not being bright enough. It”s probably best to look at other great Christmas laser lights if you live in a city or areas with a lot of ambient light. You may also want to add in some of the best Christmas yard inflatables for extra holiday cheer! Ready to add some beautiful snowflake action to your home?